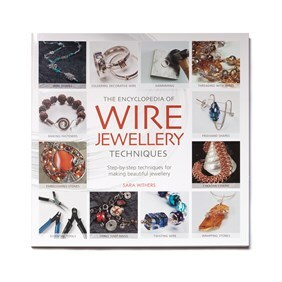 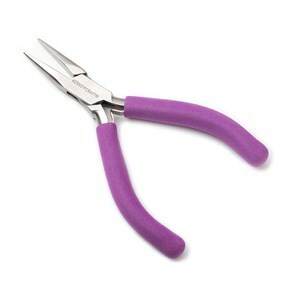 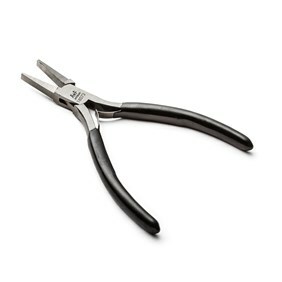 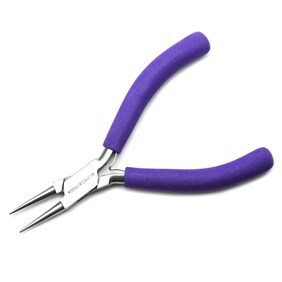 These flat nose jewellers pliers are ideal for most jewellery needs and are essential for all types of jewellery making. 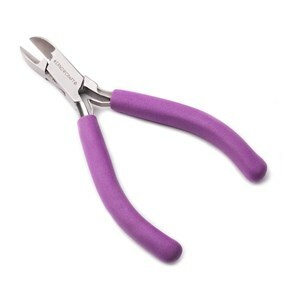 They are made from polished stainless steel and come with a sturdy, box joint construction, double leaf springs for ease of use and comfortable, easy to grip, colourful foam handles. 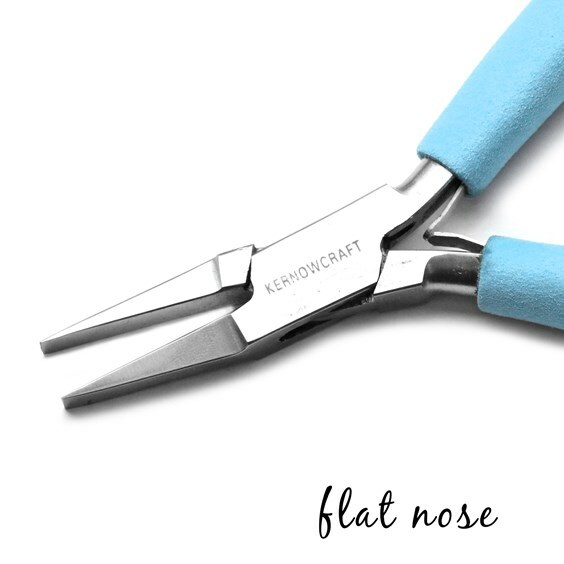 Flat nose pliers have a wide, flat jaw, so are ideal for gripping wider surfaces, bending angles in metal sheet and wire and for opening and closing jump rings. Do you need a complete set of pliers? Click here to see our excellent value pack of pliers which includes snipe, flat, round and bent nose pliers as well as side cutters complete in a handy storage case. 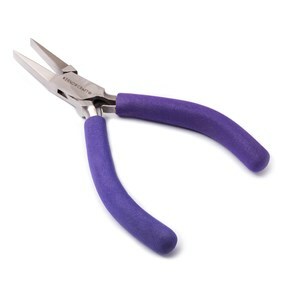 NB Please note the handles are purple and not blue as suggested in the photos.